Cut and Paste digital design battle 2009! The 2009 edition of the design battle includes 2D, 3D, and motion graphics categories. With a more centralized location, the turnout should be even bigger this year. Tickets for the event go for $100 HKD and are available at HKTicketing.com, or $120 HKD at the door. Various discounts are available for students and groups. H.K. Ticketing outlets include the Fringe Club, Tom Lee Music stores, the Convention Centre and the Hong Kong Academy of Performing Arts. Previous articleSnickers, Kit Kat, umbrella? Shouldn’t design and illustration be all about answering the client’s problem or brief rather than showing off how fast you can whip up graphics in front of an audience while wearing trendy clothes and bling eyeglasses? Isn’t this just about those designer’s who’s egos are the size of their hard disks, and IQ based on mouse clicks per second? What about the judges? Will a judge this year please stand up and tell the crowd that its all bull-shite! This is really misleading the public about design and creativity in general. Diesel is sponsoring? I guess their tagline is to “be brave” right? Let’s all go, oh wait…it cost money to watch this circus. Im begging you to say! Wow! You totally miss the point. No, events like this are about the beauty and creativity of design. Who cares about clients? 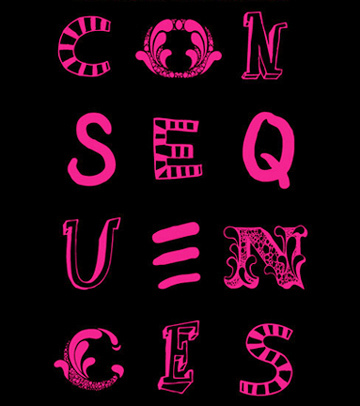 It’s about individuals showing their creative abilities and it provides a glimpse into the process of top designers. That’s definitely interesting and worth a look! 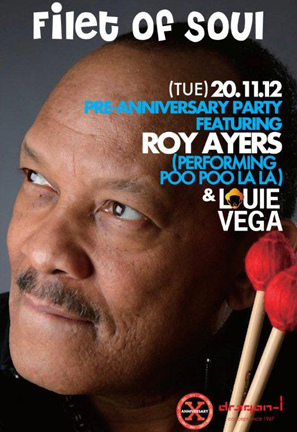 Roy Ayers + Louie Vega Tuesday!